These days, buying tickets online is often one of the only methods for consumers to get tickets at all. Door sales are unpredictable when they are available, and with so many superstars selling out in seconds after opening ticket sales, the Internet is the only feasible way to ever score seats to see your favorite entertainer. There are many ways to buy tickets online. Let’s look at the biggest two options, and why each is a good choice depending on what you need. Primary ticket outlets are online marketplaces that sell tickets directly from venues or performers. These businesses, like Ticketmaster, or Vivid Seats, offer consumers a guaranteed way of getting tickets that are genuine, and priced according to market value. Most of the time, these outlets do place fees on the ticket prices, which can add up to hefty costs. However, they are often the only way to ensure that you get tickets to an event before it sells out. If there is a must-see concert coming to your area, staking out Ticketmaster before they go on sale may be your only shot at getting tickets. Most of the time, these outlets can’t offer you a choice on exact seating, though you can probably choose your general section or row for most venues. These marketplaces usually offer multiple shipping options, including physical tickets, emailed PDFs, and even paperless tickets that only require a photo ID and/or the credit card used to purchase the tickets at the door. 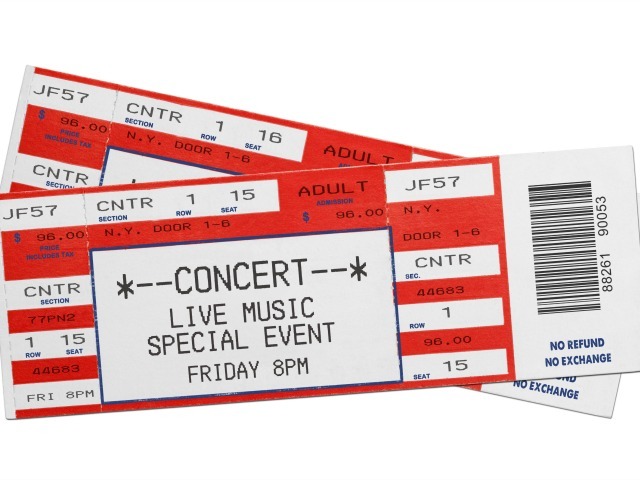 Ticketmaster is especially valuable to consumers because it allows them to return tickets up to a week before an event if they change their mind or schedule. These marketplaces also usually offer refunds in the event a concert or show is cancelled, or if the event is rescheduled to a date that the buyer can’t attend. The biggest reason that any buyer should choose a primary ticket outlet is the ability to ensure that you can get a ticket to the show you want. You have to be quick, though, because tickets to big shows tend to sell out fast. Peer-to-peer outlets, or secondary ticket outlets, are marketplaces that allow private individuals to sell tickets that they didn’t need, to private buyers. These marketplaces act only as matchmaking services, helping ensure that payment and delivery goes well, but nothing more. Businesses like StubHub and TickPick may look similar on the outside, but the features of these types of businesses can vary wildly. Some secondary outlets, such as Vivid Seats again, put all listings through screening to ensure that tickets are 100% genuine. StubHub has been known to have problems with forged tickets being sold through their website. Vivid Seats and TickPick both have notification options that allow users to receive news on events that fit their budget or other desires. However, the big drawback to these websites, of course, is that the choices are limited only to what people have to sell. As the oldest and largest secondary ticket outlet, StubHub often has far more stock to choose from. Secondary outlets allow sellers to set the price themselves, meaning that tickets can either be far cheaper than market value, or much more expensive, depending on demand. Buyers should consider going through a secondary ticket outlet if they purchase event tickets often, and want to save money by hunting for better deals. Fewer options aside, secondary ticket outlets give buyers the chance to see their favorite performers in a more budget-friendly way. But be aware that not all sites back up their 100% genuine guarantees; it’s always best to research the seller’s history before you buy.